The Blackline Loner G7x Single Gas is all about trust and ease of use. When the green SureSafe™ light is on, employees know their safety is in good hands. With cellular and satellite data communication, employees aren’t tethered to expensive Wi-Fi networks or unreliable Bluetooth connections. Blackline Loner G7x Single Gas works right out of the box—turn it on and your team is instantly monitored. The Blackline Loner G7x Single Gas is not just another widget. The beauty of Blackline Loner G7x Single Gasis that it connects your team to real people. We put the tools in your hands to watch over your own team, or you can leave the monitoring to Blackline with our in-house 24/7 Safety Operations Center. Employees who face an incident experience extreme stress. Even if they can’t respond to a two-way voice call or text message, Blackline Loner G7x Single Gas brings them comfort when the blue LiveResponse™ light turns on—they know the alert was received and help is on the way. 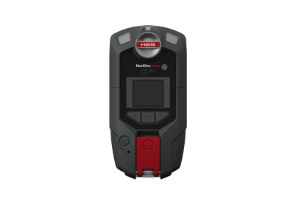 For situations where a hazard needs to be communicated broadly to your team, those monitoring can mass-notify anyone with a Blackline Loner G7x Single Gas through voice and text messages. Confidently account for everyone’s wellbeing and whereabouts in real-time, and be equipped to act when someone needs a hand.